A little while ago, I participated in a workshop for CEOs discussing health and safety matters. We did the usual workshop thing of breaking into table discussions and feeding back to the group in time-honoured fashion. It is relatively rare to bring together such a large group of influencers, so I was looking forward to the output and the opportunity it could give to drive wholesale improvements across a number of businesses and their supply chains – as the principal topic was contractor engagement and supply chain management. A return to employing the front-line workforce instead of ever extending long tails of contractors in the supply chain culminating in hundreds of itinerant sole traders. 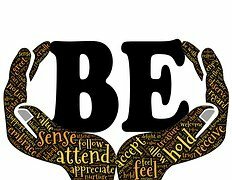 There is a success model in life coaching based on the approach of ‘Be-Do-Have’. The idea is that you need to be the type of person who will do the necessary things to have the outcome you want. The order in which these are done is very important. ‘Be’ first and then ‘do’. The ‘have’ will look after itself. Yet most of us jump straight into the ‘do’ phase. A short-term feeling of achievement replaces the long-term improvement in output and gives us an illusion of progress. When it doesn’t work, we do the next action and continue to spin the wheels without gaining any traction. As noted here, it is who a leader is that influences the most, rather than what they do. When I begin a safety review with a leadership team, I start off with a high level conversation to get team alignment and understanding. This covers what safety means to them, what their objectives are, why it matters, what they are worried about and how it aligns with the rest of their business. This develops into an emotional and sometimes surprising discussion. Particularly in high risk industries, there are unfortunately few experienced leaders who have not been touched in some way by a significant injury, a fatality or a major health issue with a colleague. This conversation reconnects them with why it is important and adds genuineness to their future involvement. Thanks Craig. I think the NZ business leaders forum is so misguided, its not what about say do and measure, because all that is critical in leadership cannot be measured. All higher order goals are immeasurable. As for what we say, yes that’s important but you are right in this blog, it starts with your being, your ontology. So, when it comes to being, the last thing i do is anchor anything to safety. The ideology of safety is the wrong frame with which to understand living, we can’t understand life through such a prism, nor does the discipline of safety or its miseducation (look at any mainstream WHS curriculum) help thinking about more important questions about citizenship, what it is to be an educated person or community-of-practice. Indeed, the archetype of Safety simply misdirects and confuses the industry in how it thinks ontologically. All doing comes out of being and the safety industry in general (because of its miseducation) has no idea of its own ideology (for example its reductionist, materialist and pragmatists ethics). Yes, so thanks for the article to consider being. I really enjoyed reading this article and I agree 100% when you say there are a lot of managers out there, but not that many leaders. It is so true what you say about people being promoted for being good at their role, without any guarantee that they will be good at their next role. Good leaders are the ones who inspire, not the ones who boss people around. When it comes to safety, I believe that a good manager is the one who will talk to the employees and understand their needs. Some managers will tell their employees to wear some safety equipment without taking into consideration the opinions of the people who will wear such items. Bad managers will just keep telling their employees to wear the equipment whereas good managers would talk to the employees, see which equipment is available, they would possibly try it on and spend some time using it to understand how the employees would feel using it often. Could another safety item do the same job but with some higher level of comfort? I believe good managers can inspire their workforce because they show that they care about their employees.